Size: approx. 20 mm. Photo: 06/04/15, 9 pm. 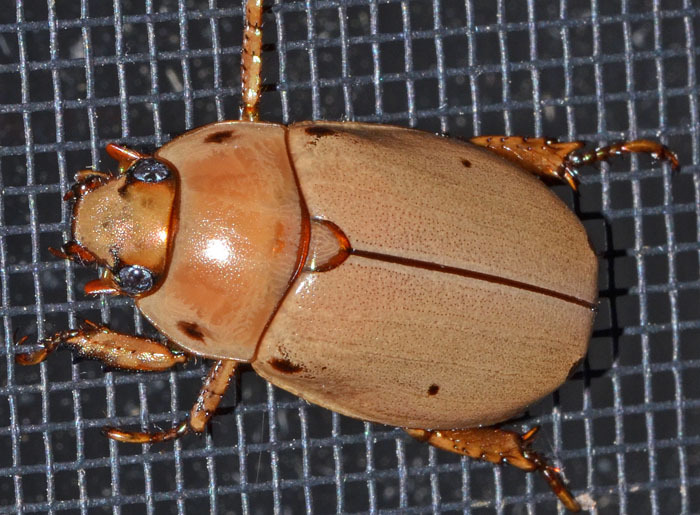 The Grapevine Beetle is a large, golden-yellow scarab. It has peripheral spots on its pronotum and elytra. Apparently, southern specimens have light brown legs, whereas northern specimens have dark legs. Its larvae feed on decaying roots and stumps of trees and pupate in the adjacent soil. Adults come to light.